After visiting The Aviary in Chicago, I felt compelled to replicate an incredible cocktail I had while there. This was no easy feat, mind you, as I had to smuggle finger limes in from the US, rustle up sugar cane from Kensington, make my own version of Guignolet, purchase tiny spherical ice cube molds online and track down caperberries (not capers) at one of the city’s high end grocers. When all was said and done, however, it was entirely worth the effort as Joseph’s Cane is truly one of the most amazing cocktails I’ve sampled. Make the Guignolet ice cubes the night before. Ideally they are super frozen. Slice sugarcane spears and stand them upright in a narrow Collins glass with cachaca for soaking one hour in advance. Use a fine toothpick to mount the cilantro leaf and caperberry to the top of the sugarcane spear. 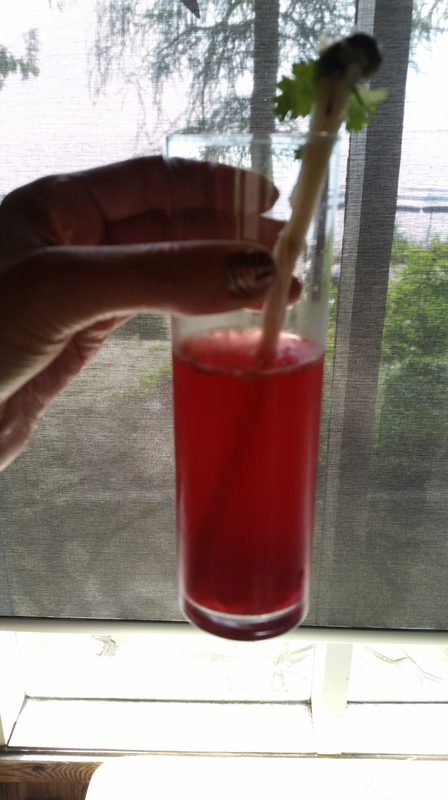 Top with the finger lime cells used to infuse the cachaca. Mix the finger lime-infused cachaca and coconut rum in a cocktail shaker with ice, stir and then strain into a chilled narrow Collins glass. Add the champagne and gently stir. Gently add the Guignolet ice balls to the glass. Add the garnish spear and a sprinkle of the toasted coconut just before serving.